KOMPAN | The brand new ELEMENTS™ range | Loaded with play! Our new ELEMENTS™ range is all about getting children active and developing vital life skills through physical play. Play events that “tickle-the-stomach” whilst also benefiting development are the greatest motivators of physical play. The new ELEMENTS™ range is loaded with play activities specifically designed and tested to give children exactly that! The New ELEMENTS™ range is divided into 3 age groups – each group has its own play universe loaded with age-appropriate play activities - TOTS (1-4), GROW (2-6) and GO (6-12). ELEMENTS™ TOTS & GROW contain responsive, agile and exploratory play solutions that shape a safe, active and developmentally beneficial play universe. The activities encourage the children to expand their horizon, get active and develop and improve skills as they play. 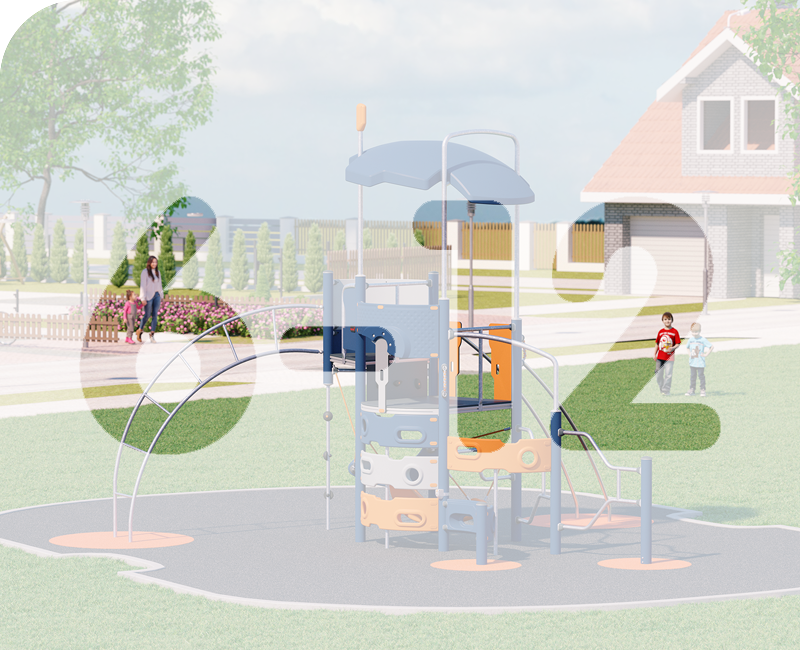 Besides getting children active, ELEMENTS™ GO is designed to stimulate children’s creativity, innovative thinking and problem-solving skills through a concept we call 'Play360.' The curved panels in this range facilitate climbing on the outside of the structure, as well as ample space for quieter play in the interior. New ELEMENTS™ offers play for all abilities. A variety of ground-level activities allow all users to access the play structure and play in a multitude of ways. Ramped solutions allow children in wheelchairs to access a play structure and play alongside friends. The extra width on the ramps make room for a caregiver to accompany the child. A structure from our new ELEMENTS™ range can help you create a significant aesthetic addition to your space. The organic shapes, bright colours and open-ended design send a warm but non-traditional invitation to play that draws children from all around. New ELEMENTS™ TOTS stimulates and encourages physical activity in little ones. Interactive elements and play event events that 'tickle the stomach' allow toddlers to explore the world around them, be active and develop important skills. The new ELEMENTS™ GROW range allows for agile, challenging and rough-and-tumble play. The GROW range is one of the first in the industry to cater for bouncing play, and offers a great variation in bouncing, fun-loving play features. Our new ELEMENTS™ GO range is the ultimate play and activity kick-starter for school-aged children. Safe, challenging play features encourage kids to play and be physically active for long periods, and the range's thoughtful design makes little players want to come back again and again. New ELEMENTS™ has been designed with a truly flexible play framework that allows a large degree of customisation and flexibility. 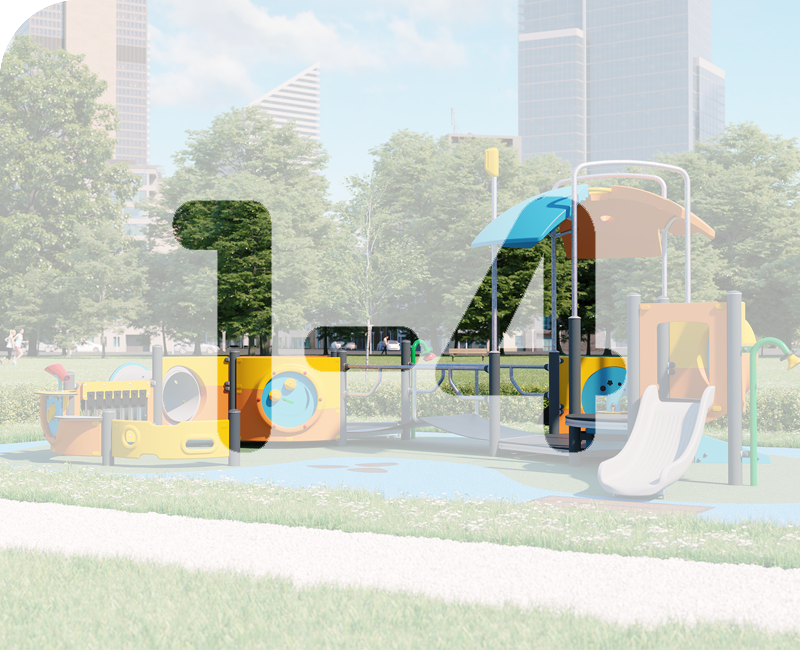 The intelligent ELEMENTS™ play system facilitates additions, removals and other changes to play activities, materials, construction options and colour themes to make it fit any environment or idea. Who are the real experts when it comes to playing? Kids of course! Like we do when developing any new product, the KOMPAN Play Institute has tested the new ELEMENTS™ play features with children. "Thrill and "tickling-in-the-stomach" are the greatest motivators of physical play. New ELEMENTS™ is designed to give children just that and get them active through thrilling responsive play events – from the youngest to the oldest." 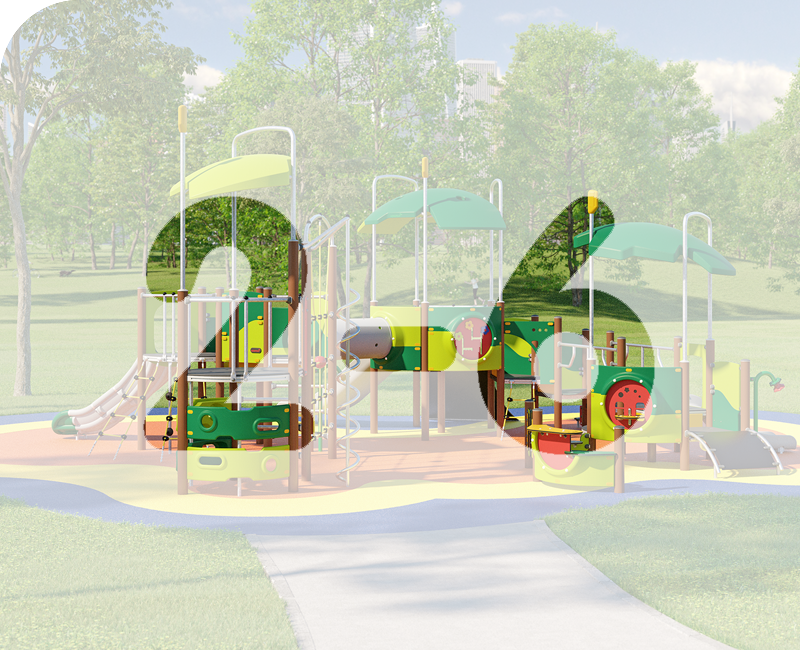 The New ELEMENTS™ series is designed using highly vandalism-resistant and durable materials that will make your playground last and look good for a lifetime. All posts are galvanised and powder coated making them highly resistant to corrosion. The panels and roofs have a high level of UV-stabilisation making them resistant to fading in the sun. The platform decks are made of 18 mm thick high-pressure laminate supported by an aluminium frame, which means they're very resistant to wear and tear. All ropes are steel reinforced and highly vandalism-resistant, and are impossible to wear through.